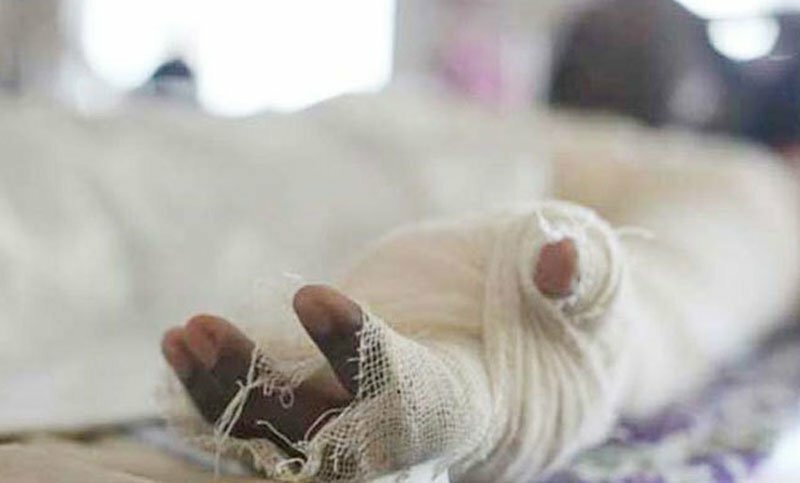 At least six workers sustained severe burn injuries as Furnace oil fell on them after a blast at Shitolpur Steel Factory in Sitakunda Upazila of Chattogram district on Saturday. The injured are – Shah Alam, 55, Riad Hossain, 25, Shakib Hossain, 32, Moinuddin, 25, Mohammad Mia, 32 and Amzad Hossain, 40. Melted iron fell into the workers around 5am when they were working inside the factory, according to the witnesses. Confirming the news, Jasim Uddin, Fire Service Assistant Director of Chattogram Agrabad station, said : "Melted iron fell on a group of workers when they were working at the factory, injuring six workers. Four were rushed to Dhaka Medical College Hospital immediately in critical condition. Others two injured have been given primary treatment." Four workers sustained eighty percent burn injuries in the incident, said Chattogram Medical College and Hospital police outpost Sub-Inspector Md Alauddin.